Set of 5 pieces: sofa, chair, coffeetable, nightstand and puff. Simple, elegant and effective furnitures made of different wood. Created with Blender 2.68. 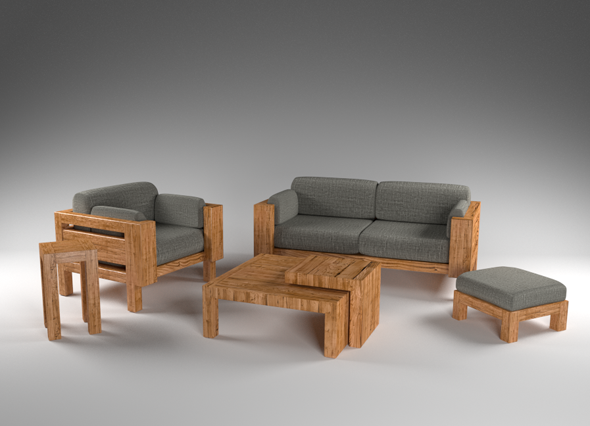 Pack includes .fbx, .3ds and .obj files, few colors of diffuse textures, and two original .blend files with material setup dedicated for Cycles Render Engine.